Let me admit up front that I have never, ever attended a speed-eating contest of any kind. The idea both fascinates and terrifies me at the same time. 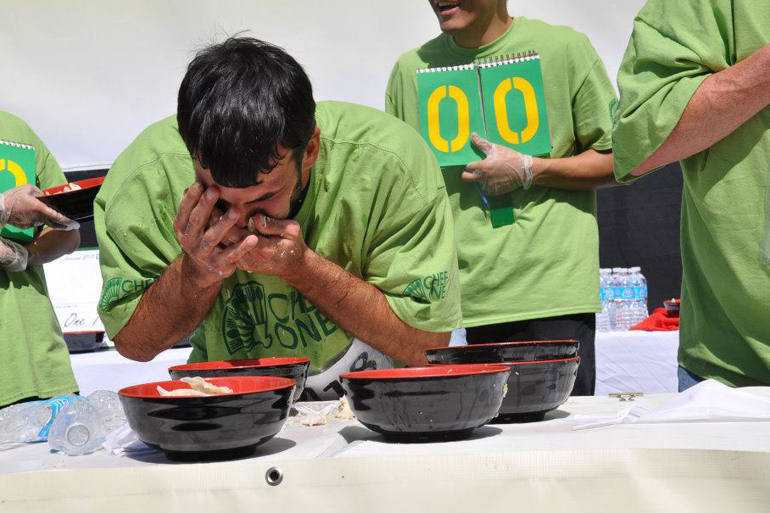 The world of competitive eating is beyond my comprehension. 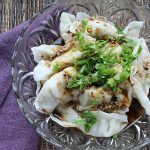 Speed is the essence of the exercise, and I truly cannot imagine consuming 90 pieces of dumplings in 2 minutes just like Molly Schuyler, last year’s female winner, did. (That’s one dumpling every 1.3 seconds if you do the math!) But the incentive for the competition is appealing. Each of the winning male and female contestants will be awarded $2000 for eating this way. Having not been to an eating contest before, I am actually quite excited to witness this contest for the first time in real life! 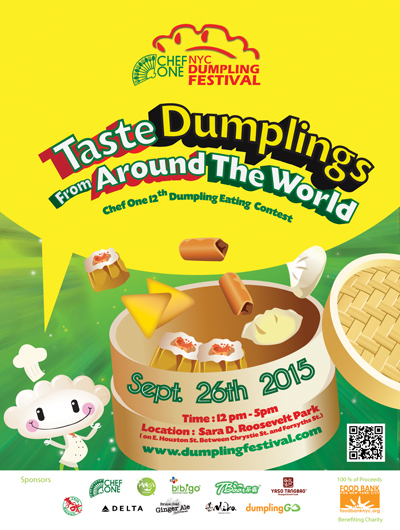 More up my alley, though, will be the vendors offering a variety of dumplings from around the world. For just $20, visitors can choose up to four tastings. The list of featured vendors is impressive and includes: Dumpling Go, Bibigo, Chef One, Tang’s Natural, Mika and TBaar. Indeed, I enjoy food fair that specializes in one type of food, which in this case is all about dumplings. 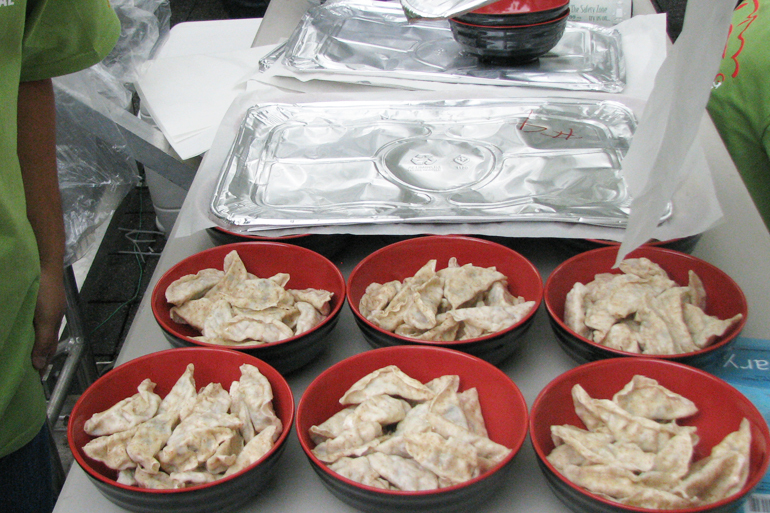 The Chef One Dumpling Festival is a wonderful opportunity to compare different dumplings from various cultures at one place without traveling anywhere. How cool is that? 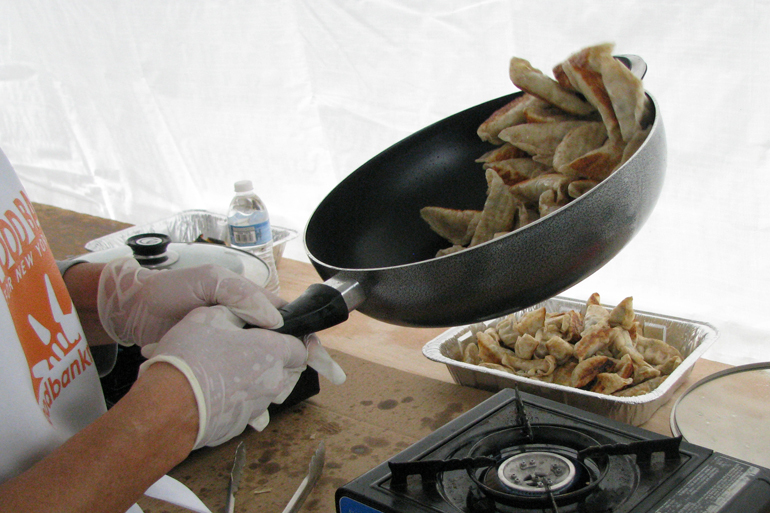 But that’s not all, other food related activities at the festival include a dumpling-making class and a giant dumpling cutting ceremony. After overindulging yourself with dumplings you can enjoy live cultural performances that include belly dancing, and hip-hop music as well as a Korean drum performance. Along with promising great fun, the festival’s main purpose is to raise money to help needy New Yorkers. 100% of all the proceeds from ticket sales will be donated to the Food Bank For New York City [http://www.foodbanknyc.org/]. For over three decades the Food Bank has been one of the city’s major organizations fighting hunger in the city. 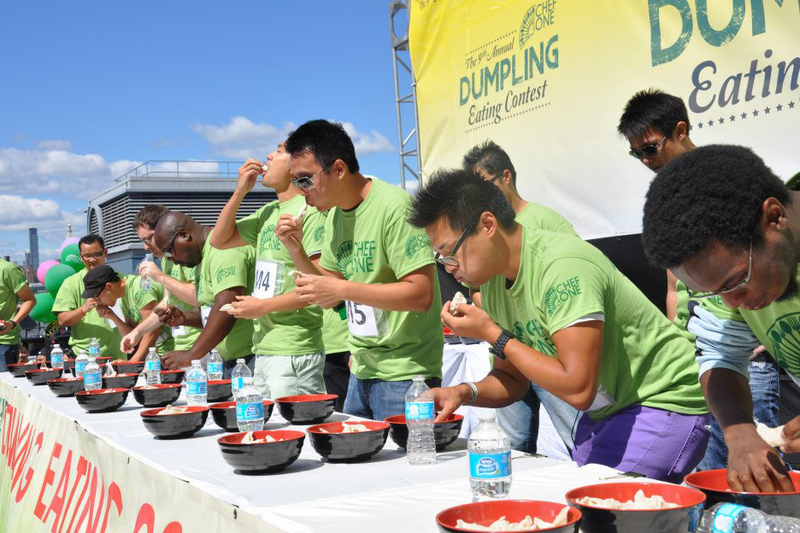 The previous Dumpling Festival raised enough money to prepare over 200,000 meals for New Yorkers in need. And the sponsors hope to double that amount this year. With all the activities at the festival, why don’t you come down and enjoy an afternoon of family fun! 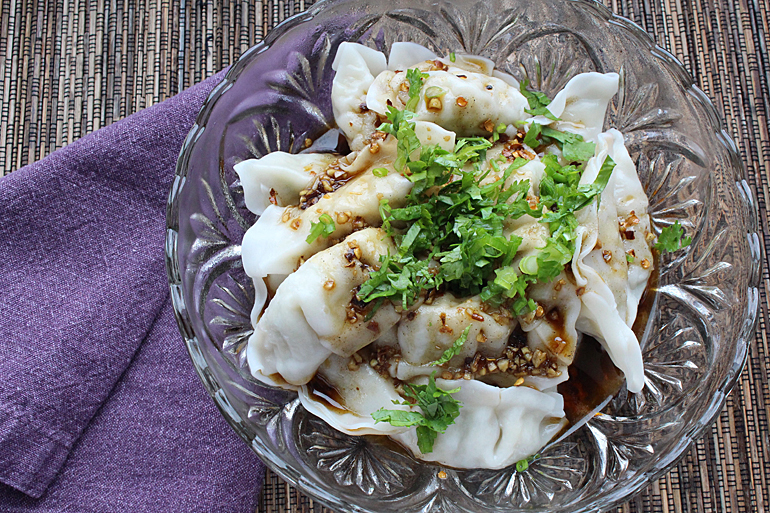 If you’re unable to go to the festival you can still enjoy great dumplings at home. Let me show you how. 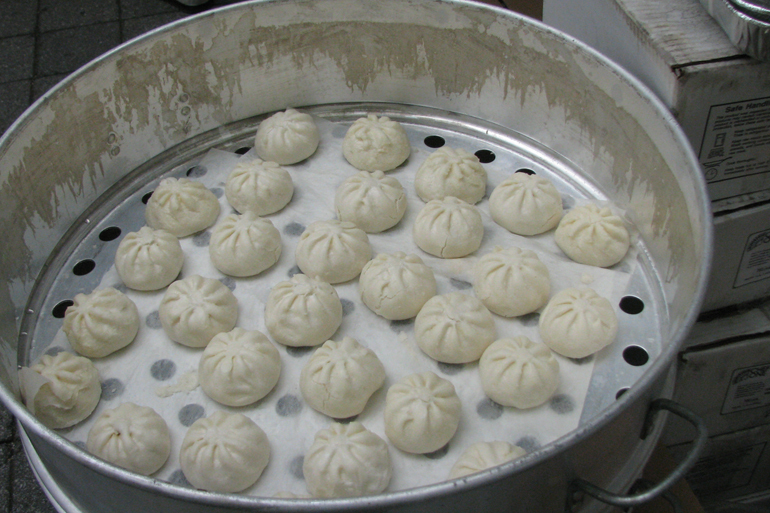 Boil a package of Chef One dumplings (any variety), drain thoroughly and place in a bowl. 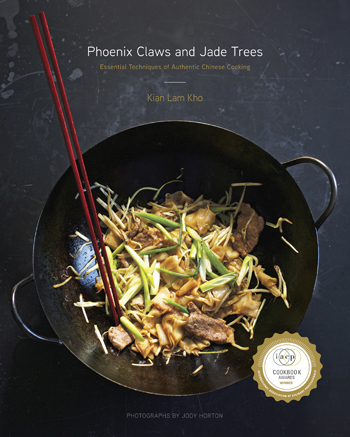 Make this Mala Spicy Vinaigrette from my new book Phoenix Claws and Jade Trees: Essential Techniques of Authentic Chinese Cooking. Then pour the vinaigrette over the dumplings. Garnish with chopped scallion and cilantro and voila! Toast the whole Sichuan peppercorns in a dry wok or frying pan over medium heat, moving them around to prevent them from burning, for about 10 minutes or until fragrant. Add the vegetable oil to the wok and reduce the heat to low. Simmer for 10 minutes. Strain the oil into a container and discard the Sichuan peppercorns. Add the soy sauce, chile oil, sesame oil, vinegar, garlic, ginger, scallions, dried chiles, Sichuan peppercorn powder, and sugar to the spiced oil and mix well. Let the dressing rest for about 15 minutes before using.